Gujarat Lions were all out for 154 in their IPL match against Sunrisers Hyderabad. Rookie pacer Mohammed Siraj and Afghan wonder kid Rashid Khan effected a batting collapse to skittle out Gujarat Lions for 154 in 19.2 overs after a century plus opening stand in their last IPL encounter. Siraj (4/32 in 4 overs) and Rashid (3/34 in 4 overs) were brilliant in the back-10 as Lions were down in the dumps after a 111-run opening stand between Ishan Kishan (61 off 40 balls) and Dwayne Smith (54 off 33 balls). Bhuvneshwar Kumar (2/25) and Siddharth Kaul (1/30) polished off the tail. But in a baffling collapse, Lions lost all 10 wickets for an addition 49 runs in the last 10 overs after a whopping 105 in the front 10. Initially, it was Kishan, who was carting the bowlers all over the park, hitting five fours and four sixes in all. It wasn't the best innings but he was still managing to find the boundary. Anything short on his pads was pulled imperiously. Smith on his part also hit a couple of sixes off Mohammed Nabi and Rashid Khan. The opening stand raised visions of a big total but a Rashid flipper saw Smith wrapped on the pads going for a pull-shot only to be adjudged leg-before. Kishan top-edged an ambitious pull-shot off a Siraj delivery only to be pouched by Naman Ojha. It was the start of a baffling collapse with some atrocious shot selection from the likes of Suresh Raina and Dinesh Karthik. 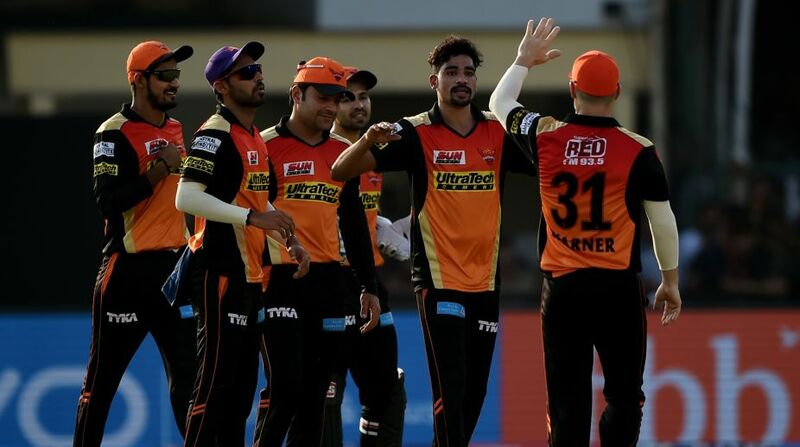 From 120 for 1, suddenly Lions slumped to 120 for 4 and Sunrisers took full use of the opportunity that they got. The mini-slump turned out to be decisive as only Ravindra Jadeja (20 no, 14 balls), remained stranded on one end. The now famous googly from Rashid accounted for Aaron Finch (2) while James Faulkner and Pradeep Sangwan were cleaned up by Siraj.